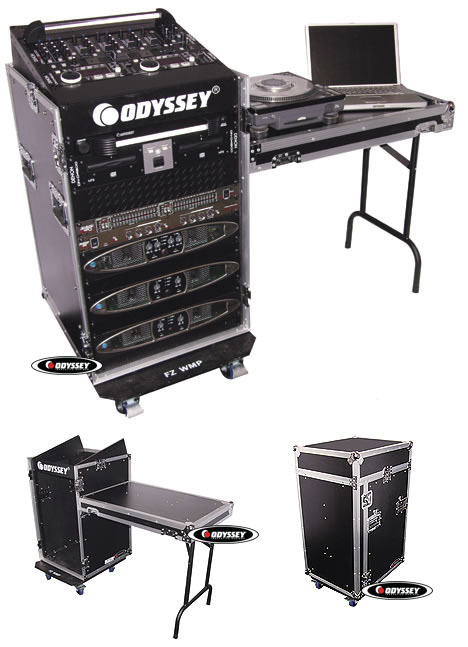 Odyssey FZ1116WDLX Combo Racks w/ Wheels DJParts - All Variety of Parts that DJ Needs. The ATA Combo Rack gives you the best of both worlds. Mount mixers, controllers on top for convenient access and all other essentials below. Features include heavy duty casters on a dolly plate(front casters feature sure stop brakes), and a lid that turns into a side mount tabletop.